Promote your practice with ChiroHosting. Achieve your online marketing goals with premium services designed specifically for chiropractors. Start attracting patients with your amazing chiropractic website. Grow with a powerful website and a proven online marketing plan. Engage your current and potential patients with automatic communications. Start with the best chiropractic website. Attracting new patients online starts with your ChiroHosting N8 Chiropractic Website. Built for your practice type. 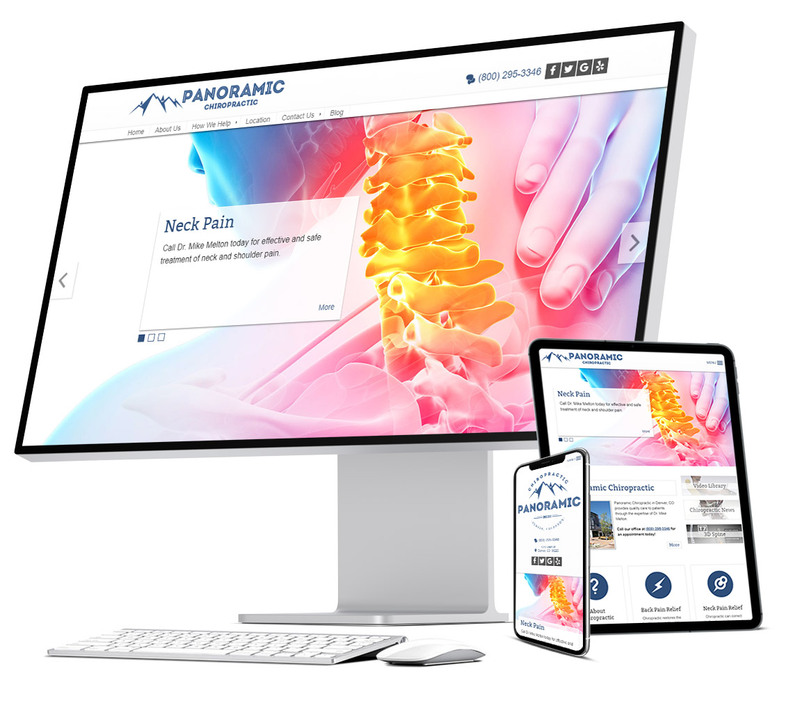 Select your practice type and we'll build your N8 Chiropractic Website with everything you need to attract your perfect patients. Start your website for free. Many believe our chiropractic websites are the best available. Not only do you get more features, you get the best price. Experience the best chiropractic website. Now you can try out all of the features included with your N8 Chiropractic Website, for free. There's no obligation and no credit card is required. Grow with expert online marketing. Amazing chiropractic online marketing plans, because you need to stand out above your competition. Check the health of your practice online. Instantly see how your most critical business data appears across Google, Yelp, Facebook and dozens more maps, apps, search engines, and directories. Engage current and potential patients. Get more 5-star online reviews. And, recover an unhappy patient before they leave a negative review. Daily social media posts to Facebook, Twitter, and Google My Business. Every post directs patients back to your website. Stay in touch with your contacts twice each month. Each email newsletter features a video highlighting benefits of chiropractic. Have one of our experts help you improve your website and online marketing for free. Visit our Support Center to get instant solutions or open a support ticket. Follow our blog for the latest news and tips for marketing your practice online. Have our team analyze your marketing needs and set up the right services for your success. © 2019 ChiroHosting, a division of Waxwing Interactive, Inc.